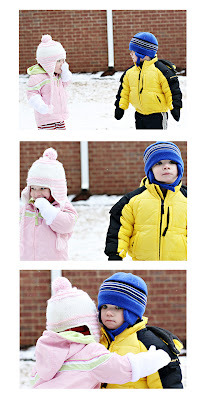 Here’s a few pictures of the two love birds during our snow day in January…. He looks a little scared doesn’t he? ?